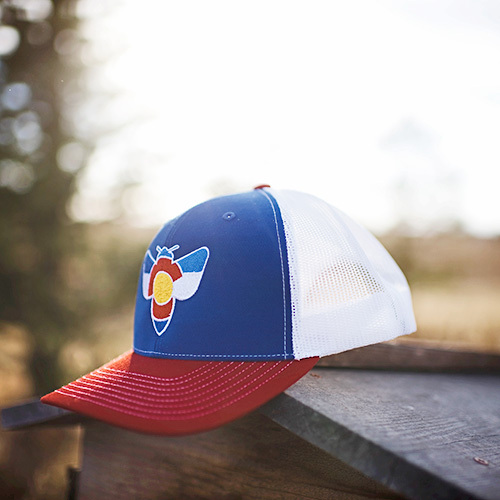 View cart “Colorado Flag Hat – Red White Blue Trucker” has been added to your cart. 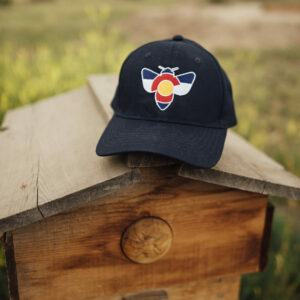 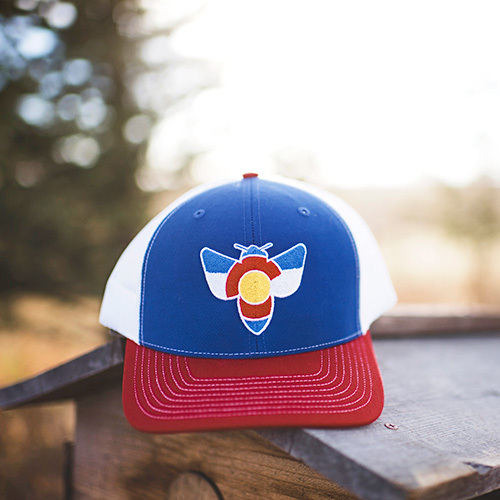 Show your love for your local Colorado Beekeepers! 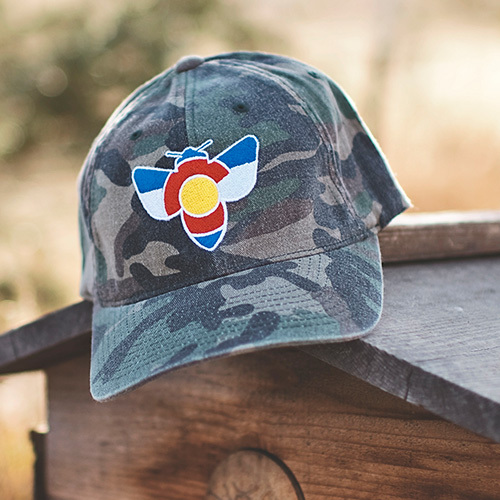 No matter if you’re heading to a big game, a bee yard or a weekend of fishing this hat will quickly become your “go-to” hat! 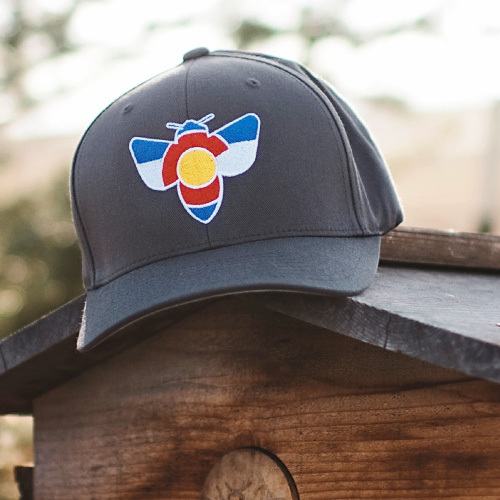 This is a comfy and versatile hat and we’re happy to finally have a cool logo to show our support of the many beekeepers (big and small) around our bee-autiful state! 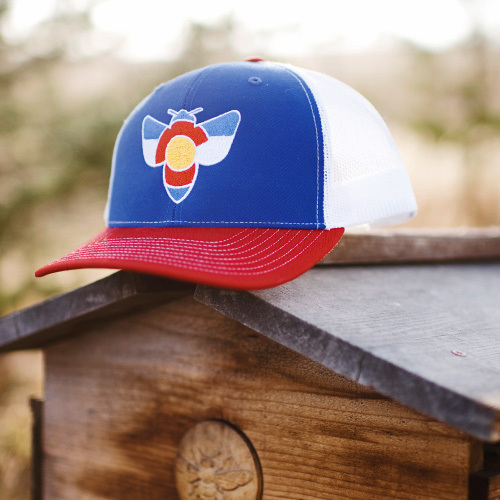 This is a structured, mid-profile hat with the 6-panel design. 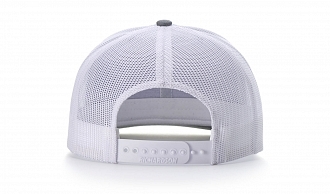 Plastic tab closure, mesh back trucker style and a cotton/polyester/nylon. 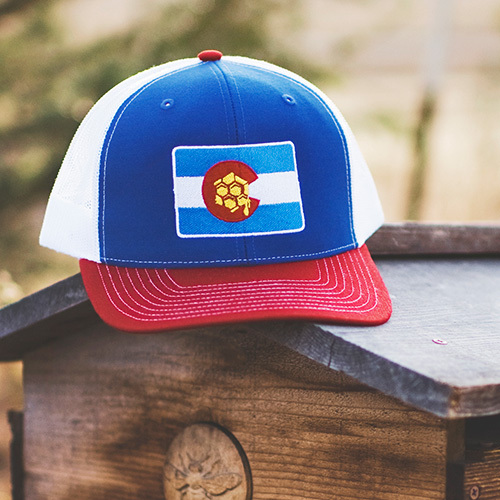 The crown measures 3 1/2″ and the fit is adjustable just like your typical trucker style!